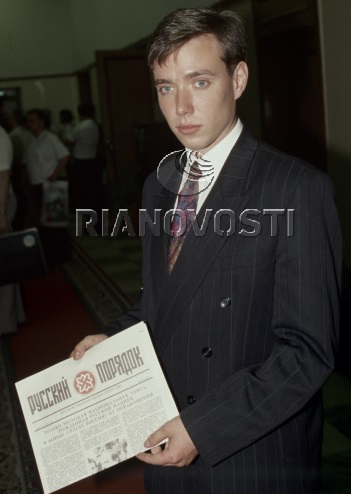 The future founder of the fake electoral observation organisation CIS-EMO Aleksey Kochetkov, as editor of the fascist newspaper Russian Order published by the Russian National Unity organisation in 1994. The Kremlin’s major political technologist Vladislav Surkov (left) and CIS-EMO’s Aleksey Kochetkov (right). Yaroslavl, 2009. 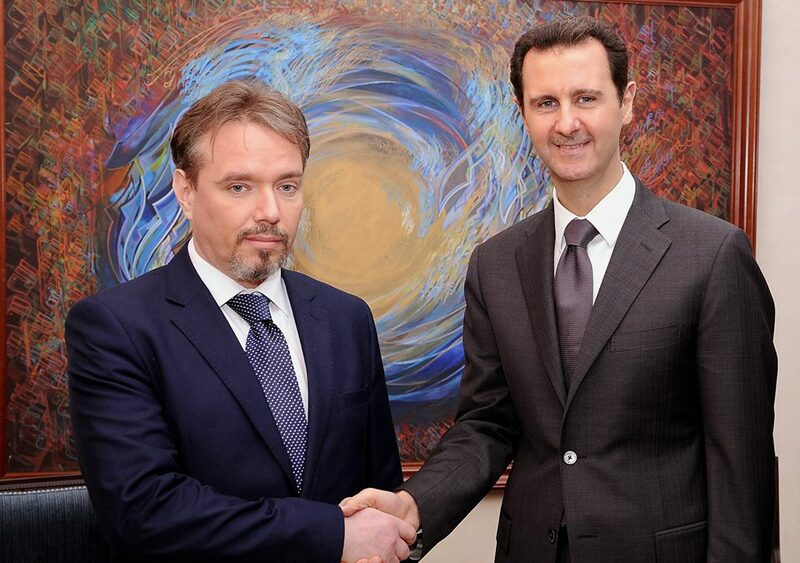 CIS-EMO’s Aleksey Kochetkov (left) and Syrian dictator Bashar al-Assad (right) in Damask. 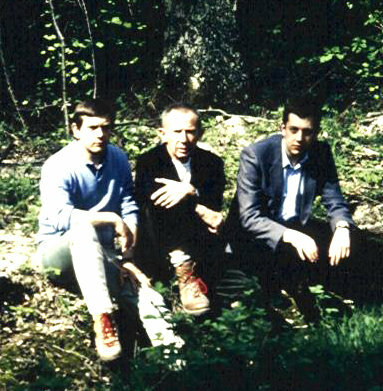 Left to right: Marina Kochetkova (CIS-EMO), Tiberio Graziani (Eurasia: Review of Geopolitical Studies), Aleksey Kochetkov (CIS-EMO). Luc Michel (left), the future director of the fake electoral observation organisation Eurasian Observatory of Democracy and Elections (EODE), and Jean Thiriart (centre). 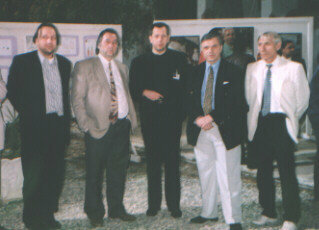 Aleksandr Dugin (far left), Aleksandr Prokhanov (second from the left) and Luc Michel (centre) at the “anti-mondialist” congress in Tripoli organised on the initiative of Libyan dictator Muammar Gaddafi. Tripoli, 1996. 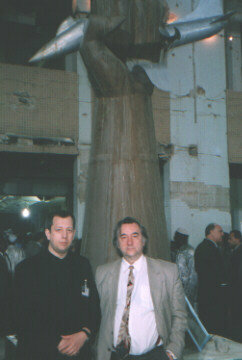 Luc Michel (left) and Aleksandr Prokhanov (right) in Tripoli, 1996. Luc Michel (right) and “the devil’s advocate” Jacques Vergès (left). 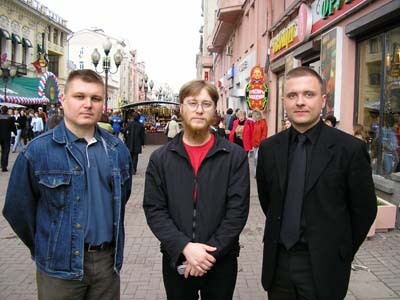 In 2000, the future founder of the fake electoral observation organisation European Centre of Geopolitical Analysis (ECGA) Mateusz Piskorski (top, centre) and Marcin Martynowski (front, centre), as members of the neo-pagan neo-Nazi organisation “Niklot”, travelled to Moscow by invitation of Pavel Tulaev (top, far left), co-editor of the neo-pagan racist journal Ateney. 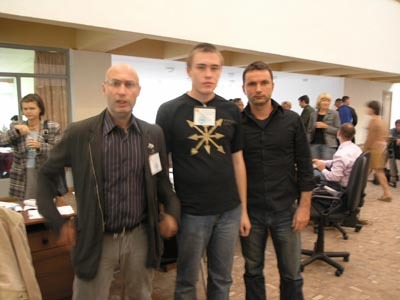 Marcin Martynowski (left) and Mateusz Piskorski (right) with one of the leaders of Aleksandr Dugin‘s fascist Eurasian Youth Union Valeriy Korovin (centre). Moscow, 2005. 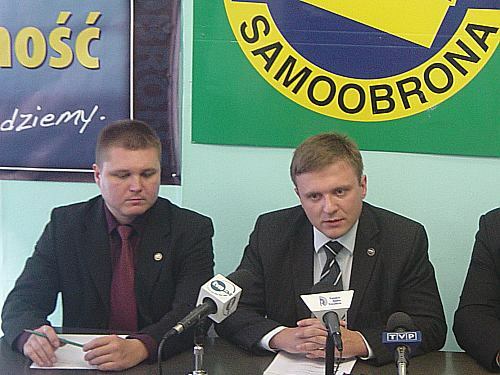 Marcin Martynowski (left) and Mateusz Piskorski (right) as members of the far-right Self-Defence party, in Szczecin, 2006. 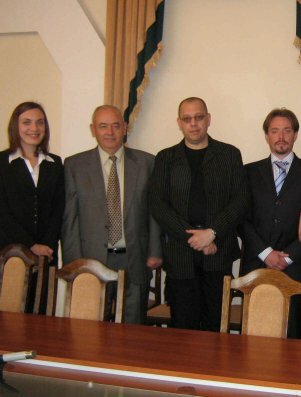 Marina Kochetkova (left), Luc Michel (second from the right) and Aleksey Kochetkov as “observers” of the illegitimate referendum on the independence of Moldova’s region of Transnistria in September 2006. 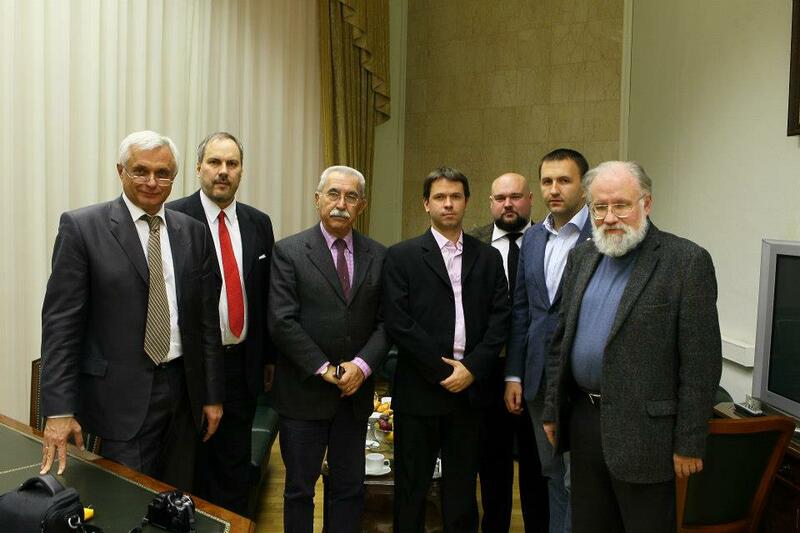 Second from the left is Transnistrian politician Grigore Mărăcuță. 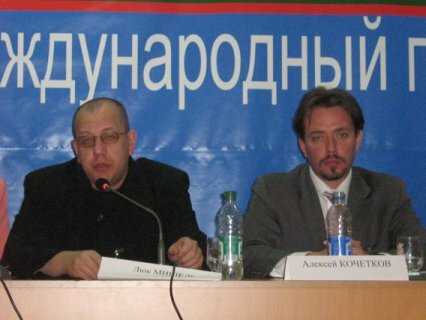 Luc Michel (left) and Aleksey Kochtkov (right) as “observers” of the illegitimate referendum on the independence of Transnistria in September 2006. “Observers” of the “referendum” in Transnistria: Yves Bataille (left), the leader of the French extreme-right People’s Struggle Organisation, and the EODE’s Luc Michel (right). 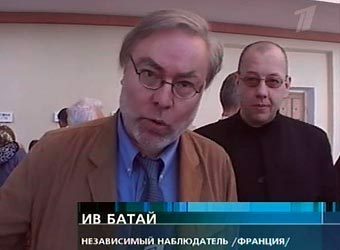 The EODE’s Jean-Pierre Vandersmissen (left) and Fabrice Beaur (right) as “observers” of the illegitimate referendum on the independence of Transnistria in September 2006. 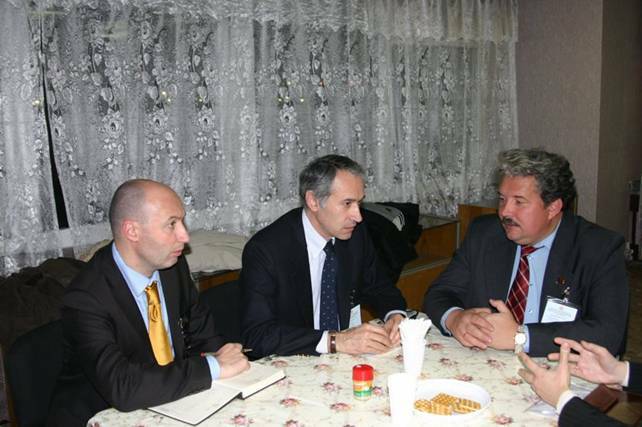 Italian “observers” of the “referendum” in Transnistria Stefano Vernole (left) and Alberto Ascari (right), co-editors of the Italian far-right journal Eurasia, with Transnistrian politician Grigore Mărăcuță (centre). 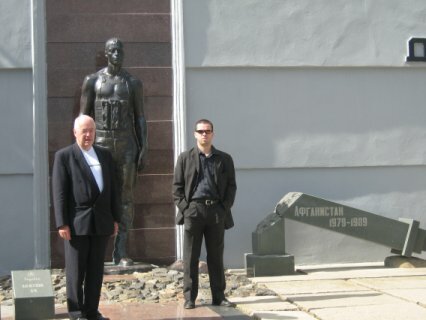 “Observing” the “referendum” on Transnistria independence: Stefano Vernole (left) and Alberto Ascari (right) with Aleksandr Bovdunov (centre), an activist of Aleksandr Dugin’s Eurasian Youth Union. Tiraspol, 16 September 2006. Activists of Aleksandr Dugin‘s Eurasian Youth Union (left to right: Aleksandr Bovdunov, Leonid Savin and Pavel Zarifullin) as “observers” of the “referendum” in Transnistria. Tiraspol, 15 September 2006. “Observers” of the “presidential election” in Transnistria, left to right: Stefano Vernole, Tiberio Graziani and Sergey Baburin. Tiraspol, December 2006. 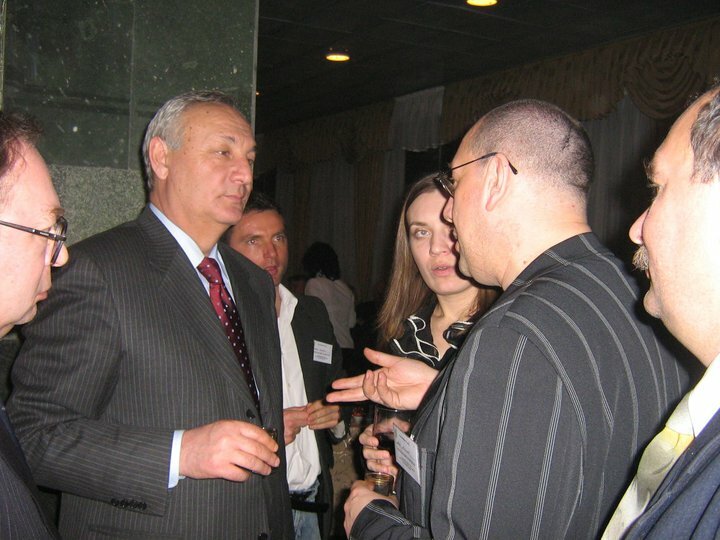 “Observing” the 2007 “parliamentary elections” in Abkhazia, left to right: Luc Michel, Marina Kochetkova (Klebanovich) and Aleksey Kochetkov. 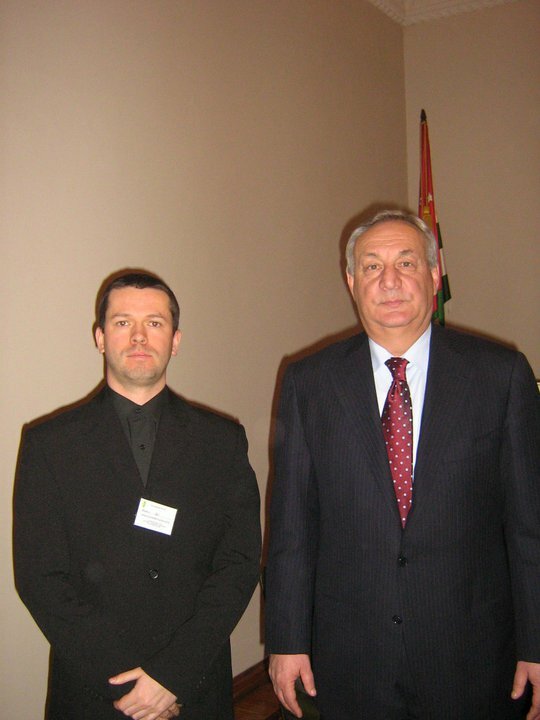 The EODE’s Fabrice Beaur (left) and Abkhazia’s “President” Sergei Bagapsh (right), 2007. 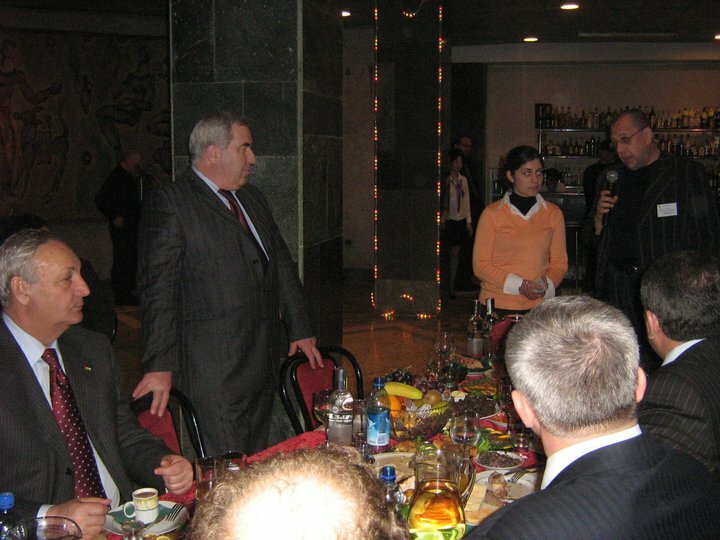 The EODE’s Luc Michel (far right) at a private birthday party of Abkhazia’s “President” Sergei Bagapsh (far left), 2007. Fabrice Beaur, Marina Kochetkova and Luc Michel at a private birthday party of Abkhazia’s “President” Sergei Bagapsh, 2007. 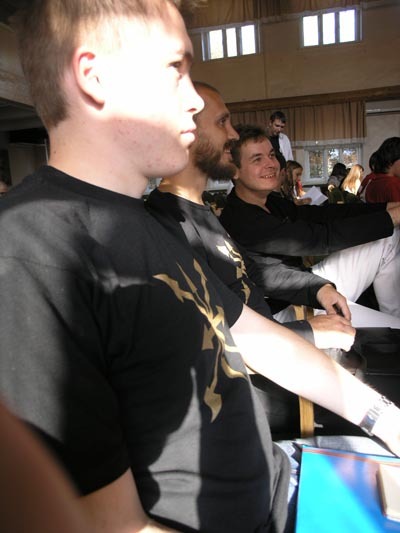 The EODE’s Luc Michel (right) as a trainer at the “educational forum” of the the pro-Kremlin “Ours” youth movement led by Vasiliy Yakemenko (centre). 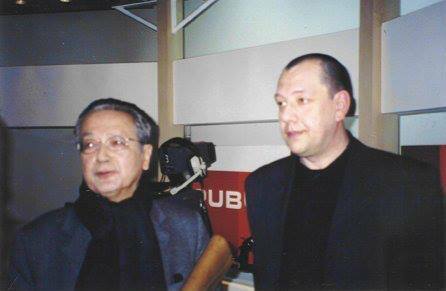 The man on the left is Mikhail Gamandiy-Egorov. Seliger Lake, 2007. 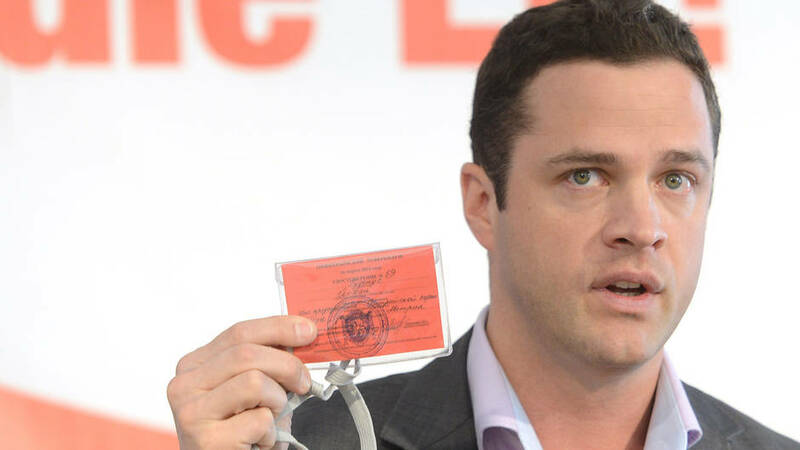 Luc Michel (right) at the Seliger forum of the pro-Kremlin “Ours” youth movement. Seliger Lake, 2007. 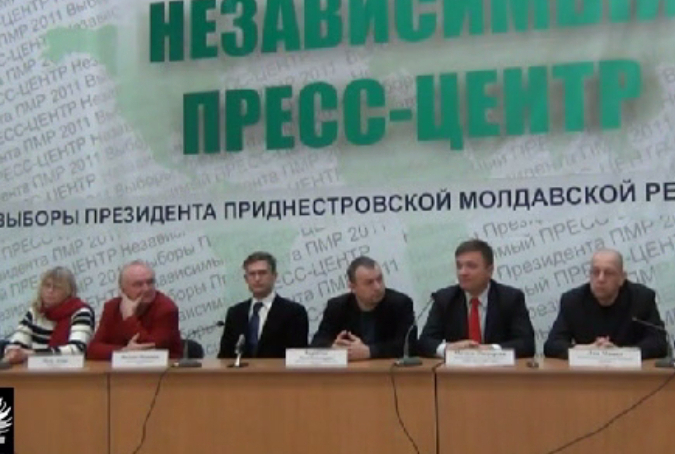 The first press conference of international “observers” at the “presidential election” in Transnistria, 12 October 2011. 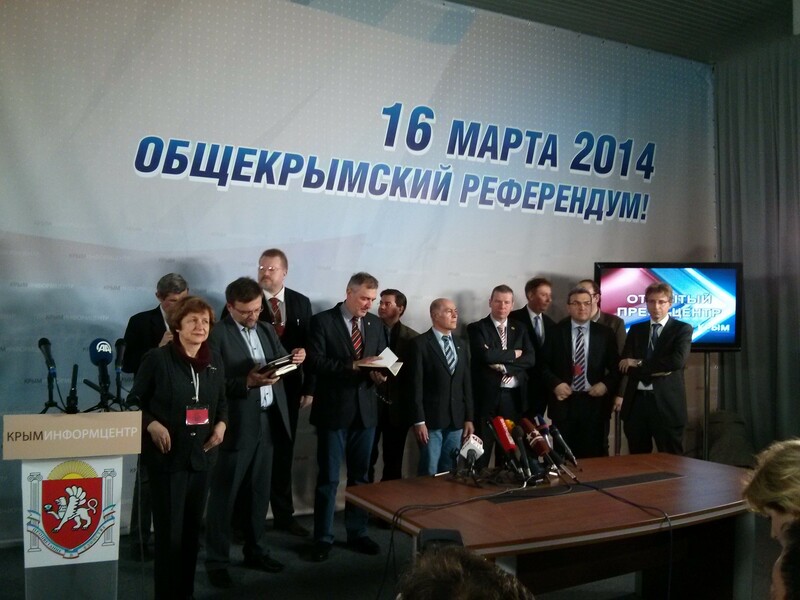 Left to right: Sabine Golczyk (Die Linke), Piotr Luczak (Die Linke), Philipp Funovits (Communist Party of Austria), Yuriy Baranchik (advisor to Belarusian President Aleksandr Lukashenka), Mateusz Piskorski (European Centre for Geopolitical Analysis), Luc Michel (Eurasian Observatory for Democracy and Elections). 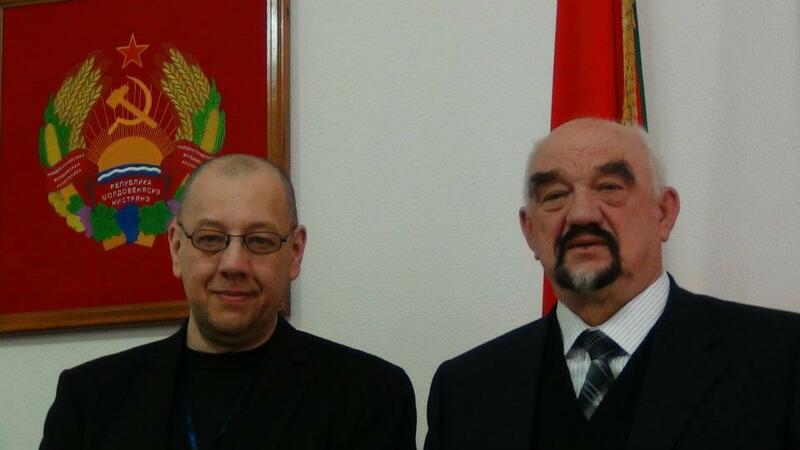 The EODE’s Luc Michel and “president” of Transnistria (1991-2011) Igor Smirnov in Tiraspol, October 2011. On 13 October 2011, the Civic Chamber of the Russian Federation held the international conference “International Monitoring of the Election Process: Principles, Development, International Experience. 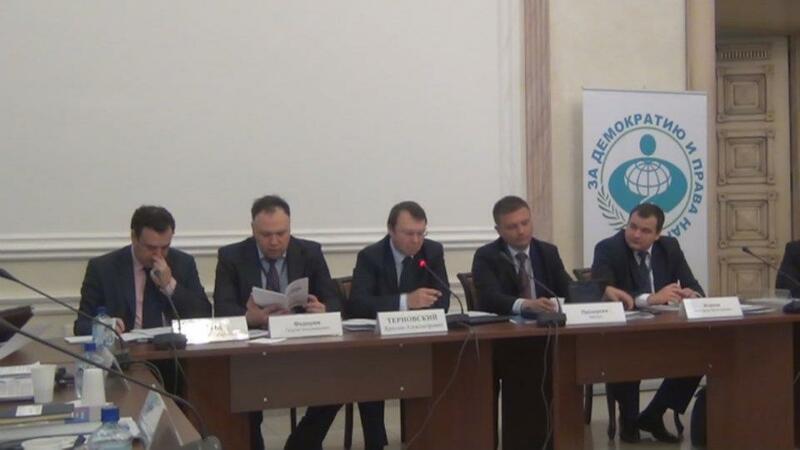 Left to right: Aleksandr Brod (Civic Control), Georgiy Fedorov (Civic Control), Yaroslav Ternovskiy (Civic Control), Mateusz Piskorski (European Centre for Geopolitical Analysis), Aleksandr Ignatov (Civic Control). 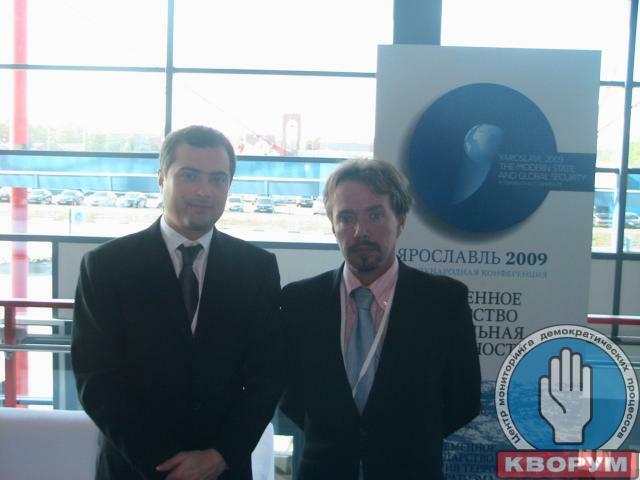 On 13 October 2011, the Civic Chamber of the Russian Federation held the international conference “International Monitoring of the Election Process: Principles, Development, International Experience. 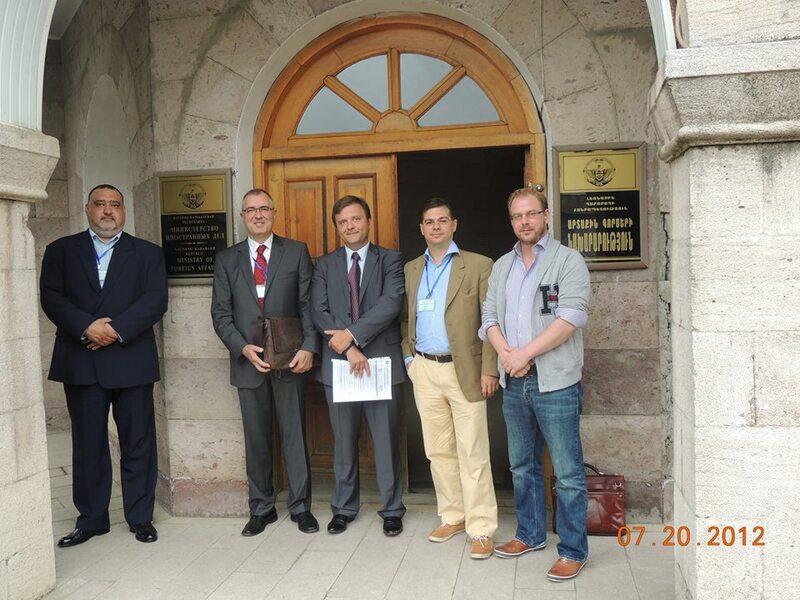 Left to right: Fabrice Beaur (Eurasian Observatory for Democracy and Elections), Petr Luczak (Die Linke). 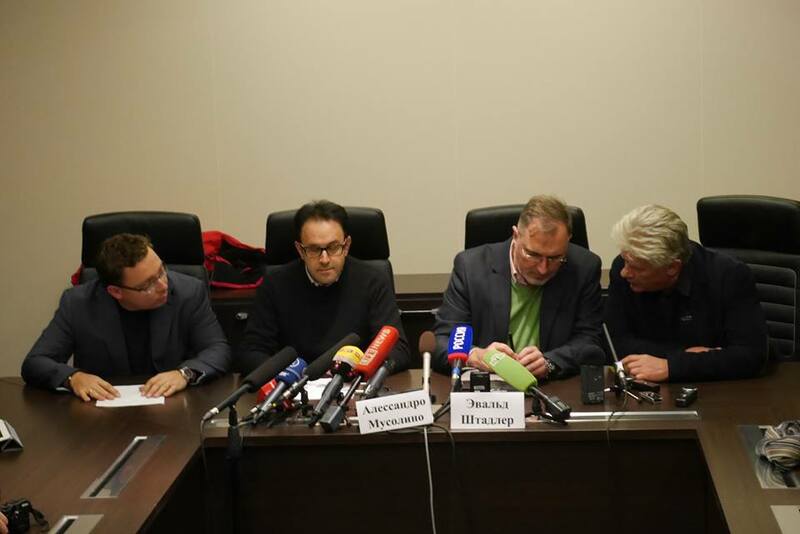 “Observing” the fraudulent parliamentary elections in Russia, left to right: Johan Deckmyn, an activist of the Belgian far-right Flemish Interest party; Nick Griffin, then the leader of the fascist British National Party (BNP); Frank Creyelman, an activist of the Flemish Interest. Moscow, December 2011. 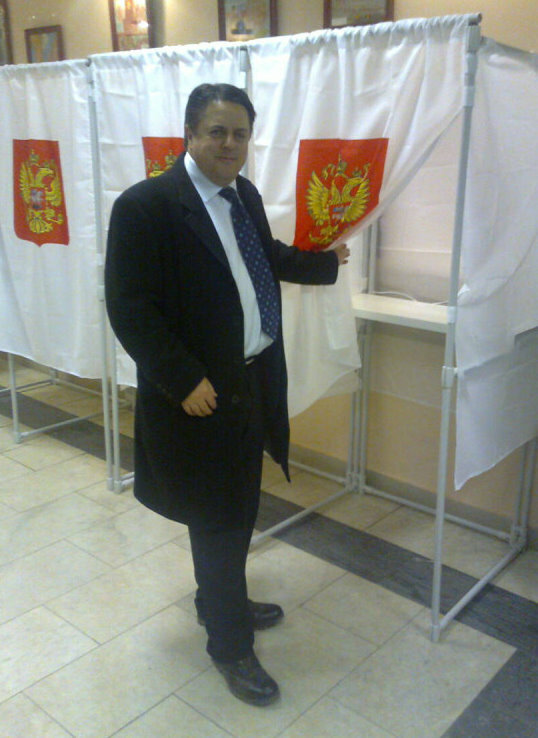 The BNP’s leader Nick Griffin as an “observer” of the fraudulent parliamentary elections in Russia, 2011. 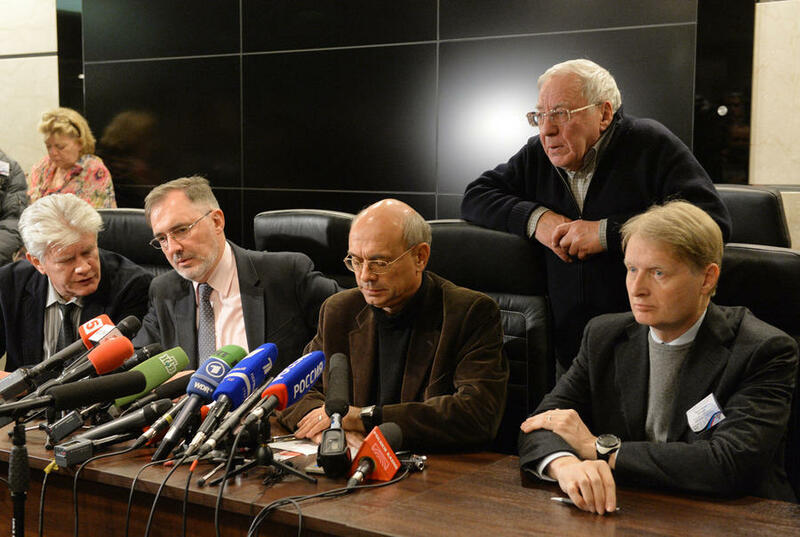 “Observing” the 2012 presidential election in Russia: Giulietto Chiesa (third from the left), a former member of the Italian Communist Party, and the EODE’s Fabrice Beaur (fourth from the right). The man on the far right is Vladimir Churov, Chairman of Russia’s Central Election Commission notorious for electoral fraud. 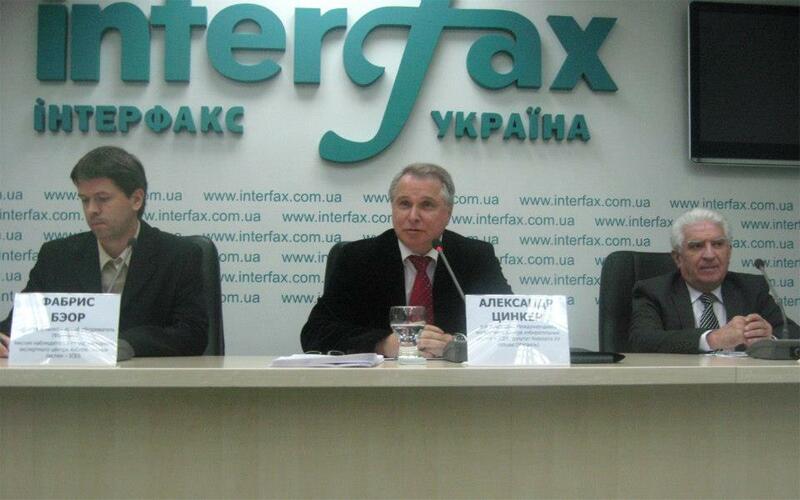 “Observers” of the 2012 parliamentary elections in Ukraine: the EODE’s Fabrice Beaur (left) and Alexander Tsinker (centre), the founder of the Israeli fake electoral monitoring organisation International Expert Centre for Electoral Systems. 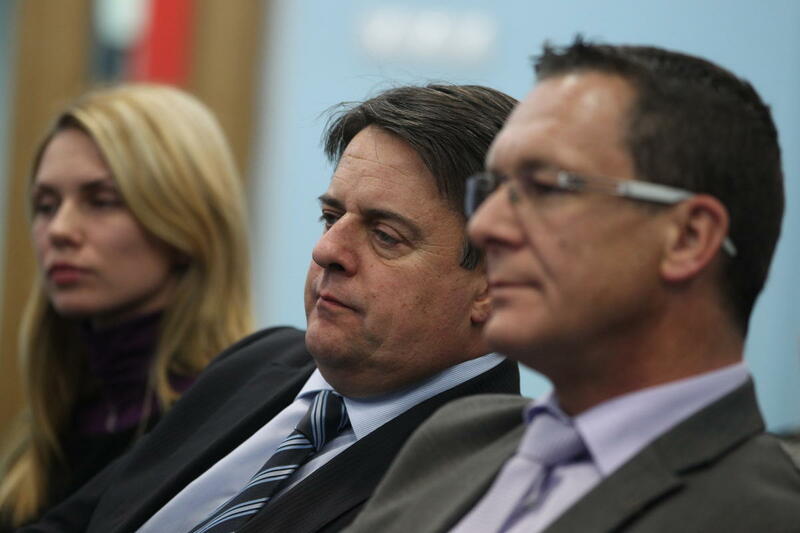 “Observers” of the 2012 parliamentary elections in Ukraine: the BNP’s Nick Griffin (centre) and a politician from the right-wing populist Alliance for the Future of Austria Gerhard Huber (right). “Observers” of the 2012 “presidential election” in Nagorno-Karabakh, a region internationally recognised as part of Azerbaijan, but mostly populated by Armenians, left right: Pavel Chernev, a member of the Bulgarian eurosceptic Party for the People of the Nation; Ewald Stadler, a member of the right-wing populist Alliance for the Future of Austria; the ECGA’s Mateusz Piskorski; Stadler’s employee Robert Stelzl; and Daniël van der Stoep, the founder of the Dutch Eurosceptic party “Article 50”. “Observers” of the “referendum” in Crimea followed by Russia’s annexation of this Ukrainian peninsula, left to right: Charalampos Angourakis (Communist Party of Greece); Tatjana Ždanoka (Latvian pro-Russian party For Human Rights in United Latvia); the ECGA’s Mateusz Piskorski; Finnish neo-Stalinist Johan Bäckman; Ewald Stadler; Robert Stelzl; Hikmat Al-Sabty (Die Linke, Germany); Frank Creyleman (Flemish Interest, Belgium); Valerio Cignetti (Tricolour Flame, Italy); Aymeric Chauprade (National Front, France); Enrique Ravello (Platform for Catalonia, Spain); Fabrizio Bertot (Forward Italy). Crimea, 14 March 2014. 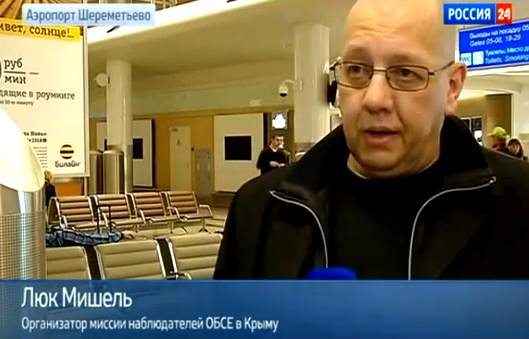 The OSCE officially declared the Crimean “referendum” illegal and ruled out any possibility of an OSCE observation of the “referendum”, but the Russian news TV channel “Russia-24” falsely presented the EODE’s Luc Michel as “the organiser of the OSCE observation mission in Crimea” and lied that “around 100 OSCE observers would be working in Crimea”. 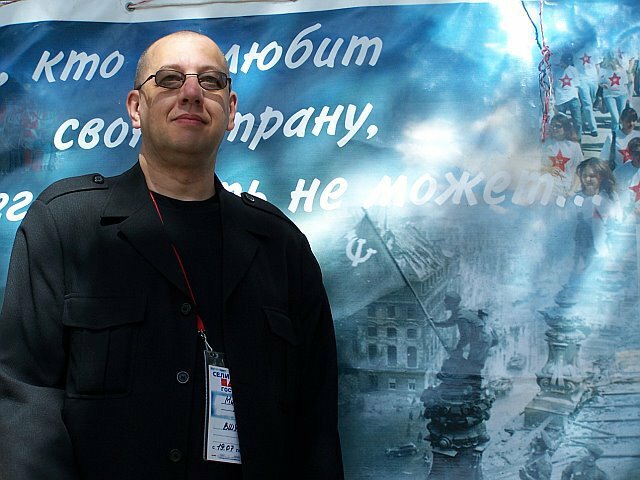 Johann Gudenus, a member of the far-right Freedom Party of Austria, as an “observer” of the Crimean “referendum”, March 2014. 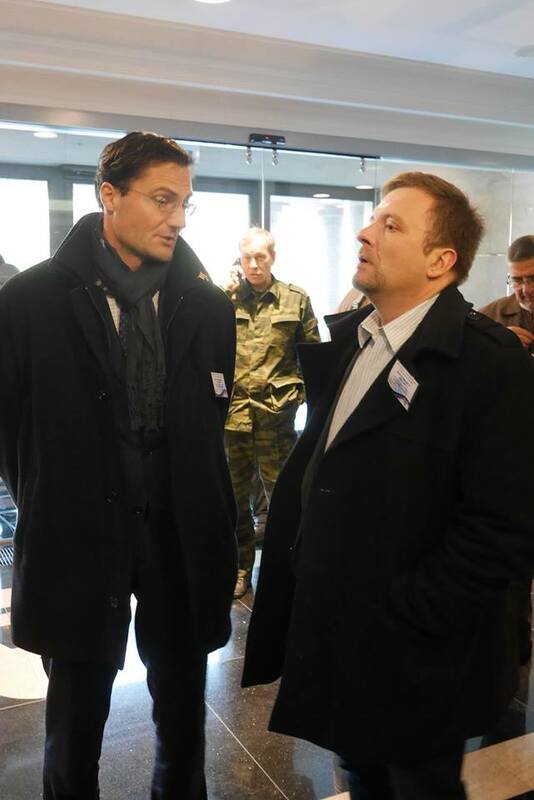 “Observing” the “parliamentary elections” in the “Donetsk People’s Republic” (DNR), a territory in Eastern Ukraine occupied by Russian armed forces, left to right: Márton Gyöngyösi of the Hungarian far-right Jobbik party and the ECGA’s Mateusz Piskorski. Donetsk, November 2014. 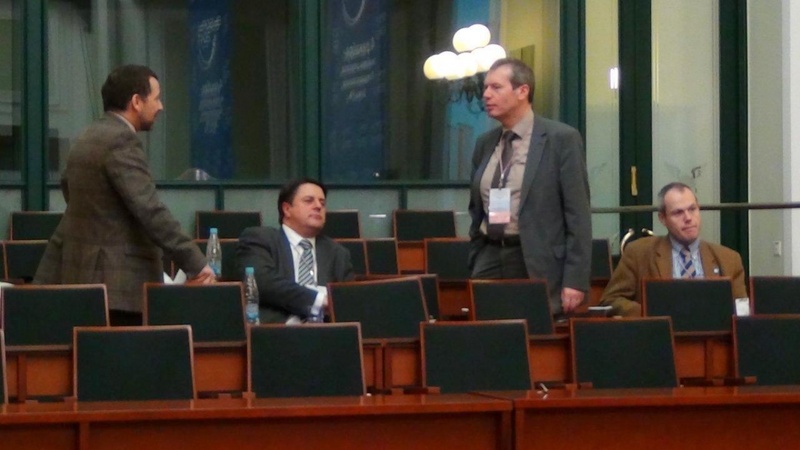 “Observing” the “parliamentary elections” in the DNR, left to right: Márton Gyöngyösi (Jobbik), Mateusz Piskorski (ECGA) and Srđa Trifković. Donetsk, November 2014. 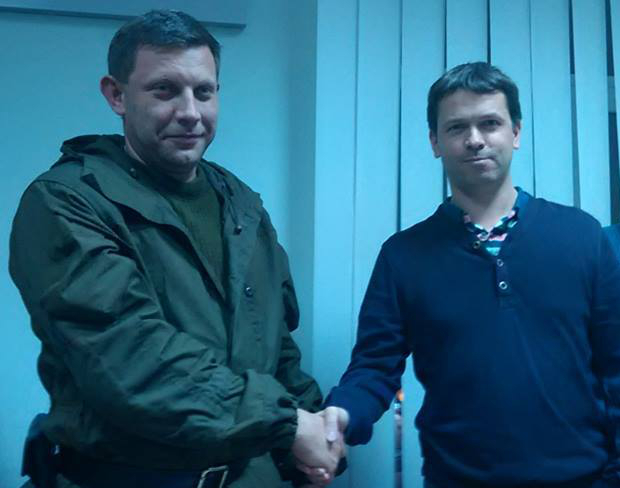 The EODE’s Fabrice Beaur (right) and the DNR’s leader Aleksandr Zakharchenko (left). Donetsk, November 2014. 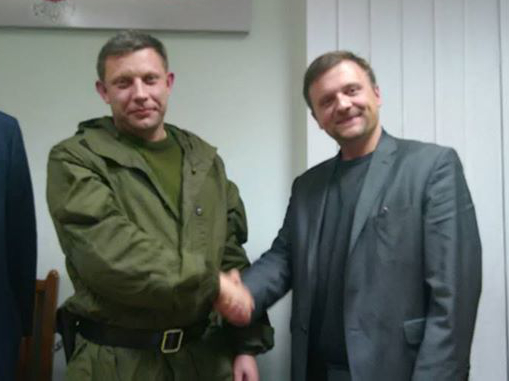 The ECGA’s Mateusz Piskorski (right) and the DNR’s leader Aleksandr Zakharchenko (left). Donetsk, November 2014. 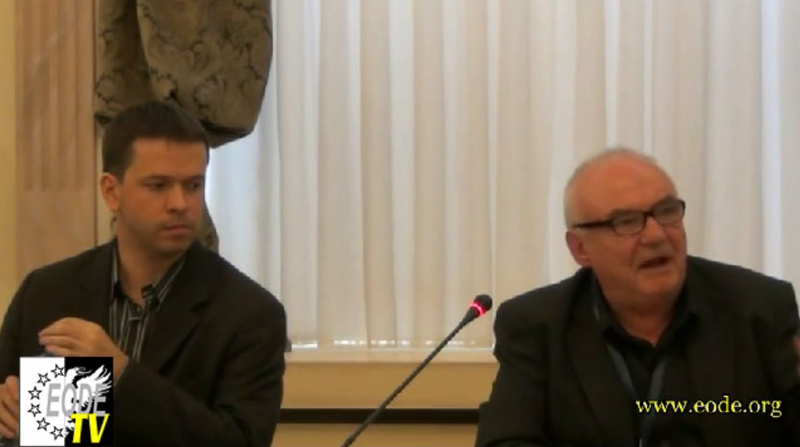 “Observers” of the “parliamentary elections” in the DNR, left to right: interpreter, Alessandro Musolino (Forward Italy), Ewald Stadler (Reform Conservatives), interpreter. Donetsk, November 2014. 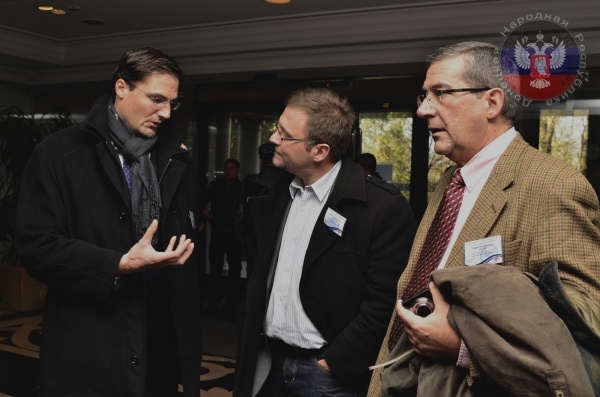 “Observers” of the “parliamentary elections” in the DNR: Ewald Stadler (second from the left) of the Austrian right-wing populist Reform Conservatives and Jean-Luc Schaffhauser (second from the right) of the French far-right Marine Blue France Gathering. Donetsk, November 2014. 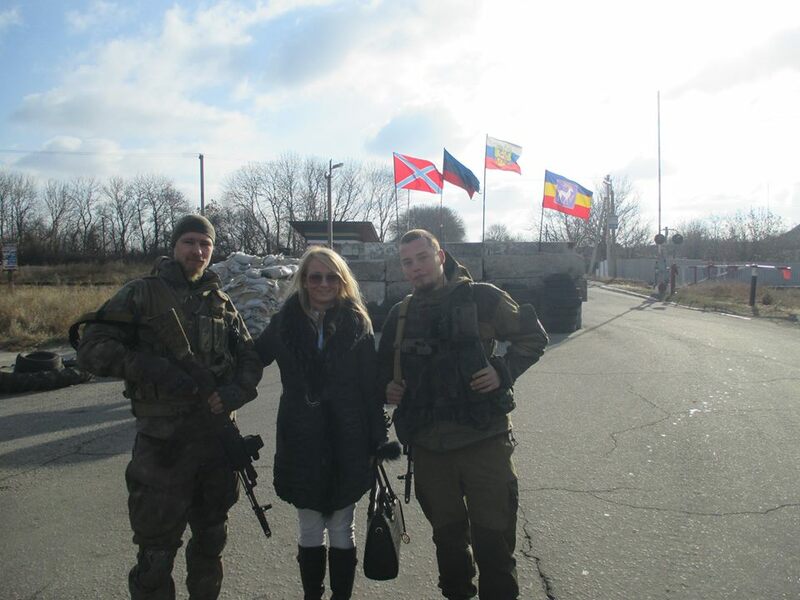 Dragana Trifkovic (Belgrade Centre of Strategic Research) as an “observer” of the “parliamentary elections” in the Luhansk People’s Republic, a territory in Eastern Ukraine occupied by the Russian forces, with two Russian neo-Nazis who volunteered to fight against the Ukrainian forces. Luhansk, November 2014. This entry was posted in Uncategorised and tagged Chapter4, pictures. Bookmark the permalink.